nice to know that you got it working. users run into the same issue. > Thanks for the response. That got me in the right direction. > option must be disabled in BIOS. 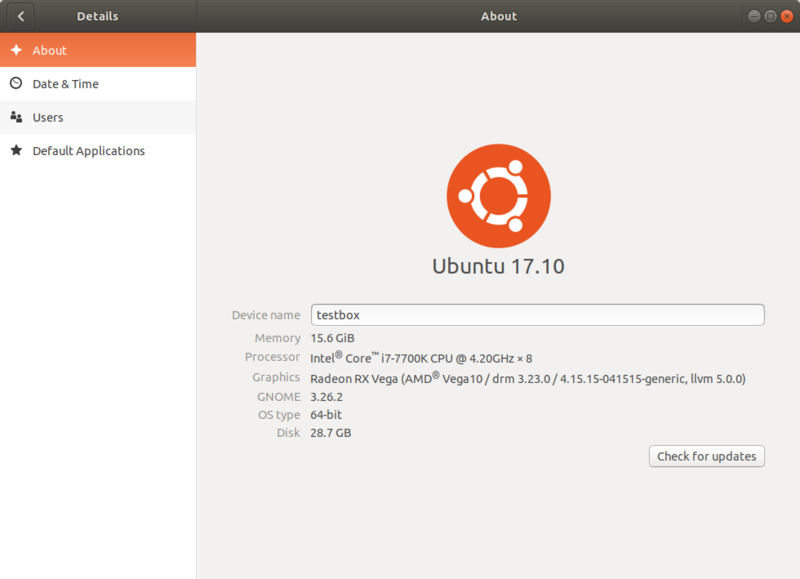 > If I disable it I can boot to Ubuntu and looks like amdgpu inits okay. > If I enable with no other changes, init fails. > Happy to say the Red Devil is working now in eGPU mode! > As always thank you for your continued time and support. >     fails as well because the BIOS didn't reserved any during startup. >     and if that doesn't help replace your motherboard. >>     Thank you for the responses. >>     case but didn't see anything that stands out. >>     else may explain the memory error. >>     As always thank you for your continued time and support. >>         output of "lspci -s 0000:16:00.0 -vvvv" as attachment. >>>         early in the device init process. >>>         sure which implementation of ioremap to look into for your case. >>>         Adding Christian for this. >>>>         off the eGPU it works as expected. >>>>         loaded without error and can connect display to it. >>>>         Again, thank you in advance for any time/support offered. >>>>             trying to get working in eGPU mode. >>>>             I think on the BIOS/hardware side it's now all fleshed out. >>>>             reaches a fatal error. >>>>             Set loglevel=8 doesn't get any additional messages. >>>>             [  429.005909] [drm] amdgpu kernel modesetting enabled. >>>>             (VEGA10 0x1002:0x687F 0x148C:0x2388 0xC3). >>>>             work in terminal without requiring a reboot. >>>>             attach log in a text. >>>>             I'm so close, don't want to let this go. >>>>             Thank you in advance for your time.